This is concept art for an extraordinary new icebreaking ship currently under construction at the Arctech Helsinki Shipyard. 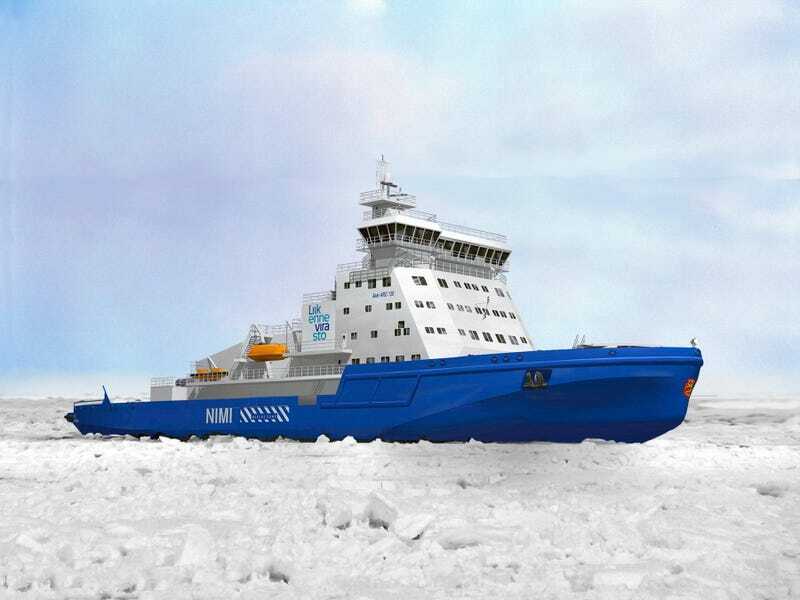 Commissioned by the Finnish government, it will be able to smash its way through 1.2 meters of ice, creating a 25-meter wide channel. The ship's engines will be capable of running on low-sulfur diesel fuel, as well as liquified natural gas. That makes it fairly eco-friendly.